attention to the CDB hive. 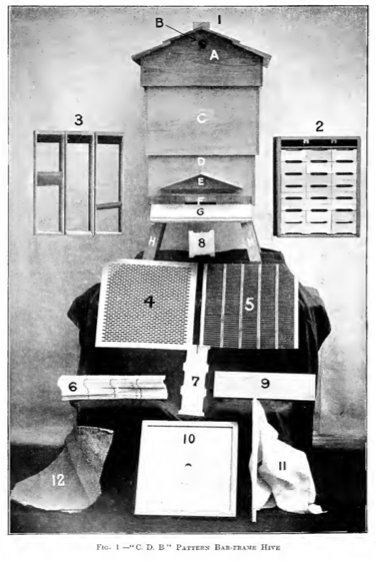 The CDB hive was devised in 1890 for the Irish Congested District Board (which was in existence until 1923 to provide support for rural populations until it merged into the department of Agriculure) The CDB hive was designed by CN Abbott, technical advisor to the Board and a member of the Abbott Brothers Company who manufactured the hives. The double skinned hive was designed for West of Ireland conditions but is rarely seen today. You may recall that the club retained one until 2012 when it was stolen. The specification included a four inch square ‘winter’ ventillator in the floor which could be closed in summer, with a flight board and splayed legs reminiscent of the WBC. The square shouldered segments enlarging as they rise to overlap, distinguishing it from the WBC. The C.D.B hive first came to my interest after spotting a photograph in an old Irish beekeeping book dated 1912. Its natural beauty instantly caught my eye and on doing a small bit of research, I found it was designed and built in Ireland and because of this was particularly suited to our wet and cold weather. The C.D.B is a double walled hive much like the W.C.B with all the warmth advantage that goes with it. I spoke to Leo McGuiness about the C.D.B and he said in years past he had used one and found it to his liking. He said he had an old one around somewhere and would lend it to me to try and make a template from. As promised, Leo produced his old hive and upon getting a closer look I spotted a few small difficulties. This was mainly that national supers had to be modified to fit the C.D.B, however with a slight adjustment of the measurements I was able to construct the hive so that it now works with all national hive parts. The hive sits on its own floor with its own legs and has a 4 inch by 4 inch vent with a slide underneath which can be opened and closed as required. The outside skin of the brood box goes down past the floor sides making it very weather proof. The lift will handle two supers or three section racks and sits down over the brood chamber slightly to make it weather proof. In addition, the lift can be turned upside down and slid down over the brood chamber giving extra protection in the Winter. This also lowers the height of the hive to make it less of a wind catch. For those beekeepers who would have three, four or more supers the lift can be removed and a standard national roof can be used which turns the hive back into a single walled hive for the summer. 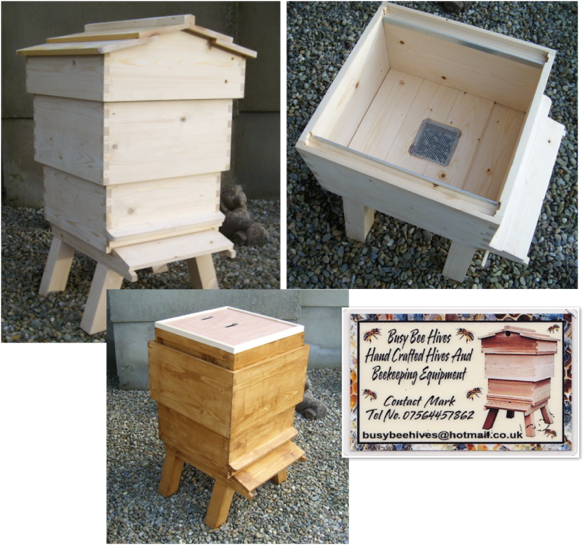 This C.D.B hive takes British standard frames and I have also made a 12 inch x 14 inch brood box which will take the B.S 12 x 14 deep frames. 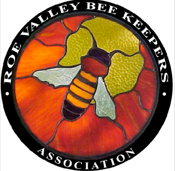 All things considered, it is difficult to see why this hive went out of favour with beekeepers as it has so many good points. It would be nice to see this type of hive making a bit of a come back in Irish beekeeping as one we could call our own.